Because of you, our wonderful clients, we are celebrating 15 years in business! 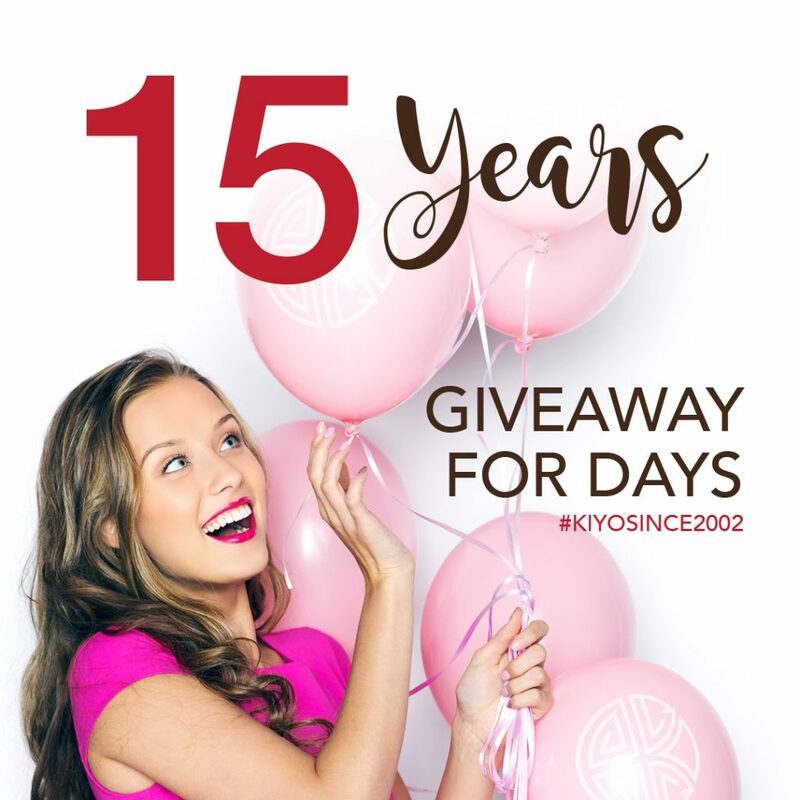 Kiyo Salon & Day Spa opened its doors in September of 2002, and over the past 15 years we had the privilege of helping you look and feel your best. As our way of saying thanks, you are invited to our Client Appreciation Party to sip champagne, mingle with staff, enter to win fabulous local door prizes, including a $500 gift card from Kiyo! You can also watch (or model) demos on the different services and products we offer. Contact us if you would like to be a model at our appreciation event. We will be offering discounts on products, as well as makeup and styling touch ups. Can’t make it to the appreciation? Stop by the salon anytime between September 1 – 23 to enter our daily door prize draw starting on September 7. You can also enter to win three fabulous prizes at the Parksville location from September 1 – 23. Prizes for the Parksville salon will be drawn on September 7, 15 and 23.